The planned Deep Underground Neutrino Experiment will require 70,000 tons of liquid argon, making it the largest experiment of its kind–100 times larger than the liquid-argon particle detectors that came before it. Before building this unprecedented machine, scientists understandably want to make sure it’s going to work. That’s why members of the international DUNE collaboration recently began taking data using a test version of their detector. The full-size DUNE detectors, which will be built a mile underground at the Sanford Underground Research Facility, will tackle some of the biggest unsolved questions in physics. They will help find out whether neutrinos are the reason our matter-filled universe exists, watch for the formation of a black hole in a nearby galaxy, and search for signs of proton decay, bringing us closer to realizing Einstein’s dream of a unified theory of matter and energy. One of those little steps is actually one of the largest liquid-argon time projection chambers ever built. 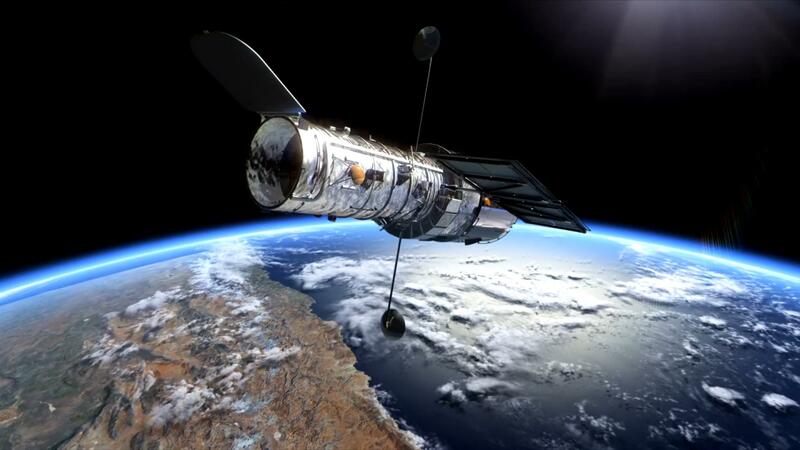 That’s where scientists just saw their first tracks from cosmic rays. Built at the Department of Energy’s Fermi National Accelerator Laboratory, the 35-ton prototype (which could hold a small car in its liquid-argon vessel) picked up the nickname “DUNE Buggy” after a Photoshop artist within the group added monster truck wheels to an image of it. As cosmic rays pass through the liquid argon, electrons and light are emitted—visible signals that the invisible particles passed through. The location and intensity of these tracks are collected and digitized, giving scientists insight into the particles’ direction, momentum, energy and type. Now that the prototype is running, researchers will check that the various detector components are working properly and then start doing formal studies. Scientists plan to use the prototype to assess detector components that haven’t been tried before. “The goal of this is to find out where the weak points are that need to be fixed, and also hopefully figure out the parts that work,” says Fermilab’s Alan Hahn, co-coordinator for the 35-ton. The new parts include redesigned photodetectors, long rectangular prisms with a special coating that change invisible light to a visible wavelength and bounce collected light to the detector’s electronic components. DUNE scientists are also paying special attention to the prototype’s wire planes, pieces that hold the thin wires strung across the detector to pick up electrons. To ensure the frames will fit down the narrow mine shaft and avoid having to stretch the wires across the long DUNE detectors, risking sagging, scientists plan to use a series of small frames. These wire planes should measure tracks in the liquid argon both in front of and behind them, unlike other detectors. Engineers have also moved some of the detector’s electronic bits inside the frigid cryostat, which holds liquid argon at minus 300 degrees Fahrenheit (minus 184 degrees Celsius). Much like the full detectors, the development of the bits and pieces of the 35-ton prototype depends on teamwork. The DUNE collaboration has about 800 members from 26 countries around the world. For the 35-ton, Brookhaven and SLAC national laboratories provided much of the electronic equipment; Indiana State University, Colorado State University, Louisiana State University and Massachusetts Institute of Technology worked on the light detectors; and the universities of Oxford, Sussex, and Sheffield helped make special digital cameras that can survive in liquid argon and wrote the software to make sense of the data. Fermilab was responsible for the cryostat and cryogenic support systems. Scientists will use what they learn from this version to build full-scale modules for a larger, 400-ton prototype at CERN. That will be the final test before construction of the first of four huge detectors for the actual experiment, which is scheduled to start in 2024. The United States and the European physics laboratory have formally agreed to partner on continued LHC research, upcoming neutrino research and a future collider. 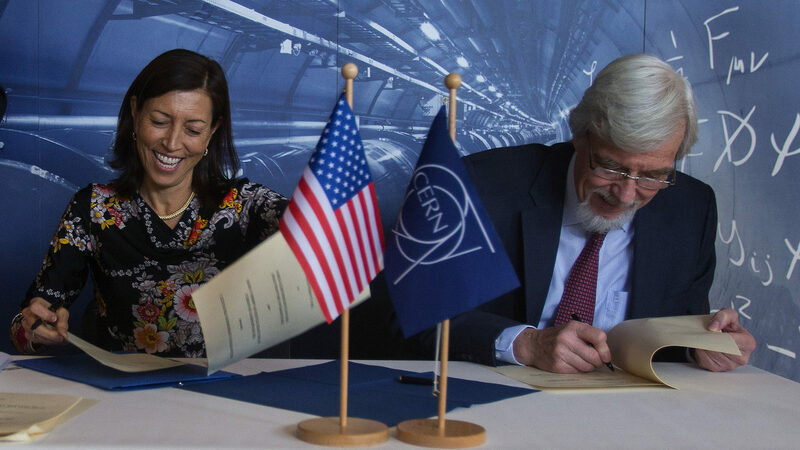 Today in a ceremony at CERN, US Ambassador to the United Nations Pamela Hamamoto and CERN Director-General Rolf Heuer signed five formal agreements that will serve as the framework for future US-CERN collaboration. These protocols augment the US-CERN cooperation agreement signed in May 2015 in a White House ceremony and confirm the United States’ continued commitment to research at the Large Hadron Collider. They also officially expand the US-CERN partnership to include work on a US-based neutrino research program and on the study of a future circular collider at CERN. The partnership between the United States and CERN dates back to the 1950s, when American scientist Isidor Rabi served as one of CERN’s founding members. Today, the United States is the most represented nation in both the ATLAS and CMS collaborations at the LHC. Its contributions are sponsored through the US Department of Energy’s Office of Science and the National Science Foundation. According to the new protocols, the United States will continue to support the LHC program through participation in the ATLAS, CMS and ALICE experiments. The LHC Accelerator Research Program, an R&D partnership between five US national laboratories, plans to develop powerful new magnets and accelerating cavities for an upgrade to the accelerator called the High-Luminosity LHC, scheduled to begin at the end of this decade. In addition, a joint neutrino-research protocol will enable a new type of reciprocal relationship to blossom between CERN and the US. The agreement will enable scientists and engineers working at CERN to participate in the design and development of technology for the Deep Underground Neutrino Experiment, a Fermilab-hosted experiment that will explore the mystery of neutrino oscillations and neutrino mass. For the first time, CERN will serve as a platform for scientists participating in a major research program hosted on another continent. CERN will serve as a European base for scientists working the DUNE experiment and on short-baseline neutrino research projects also hosted by the United States. Finally, the protocols pave the way beyond the LHC research program. The United States and CERN will collaborate on physics and technology studies aimed at the development of a proposed new circular accelerator, with the aim of reaching seven times higher energies than the LHC. The protocols take effect immediately and will be renewed automatically on a five-year basis. You may have heard LBNF/DUNE described as “the first truly international megascience project hosted by DOE in the United States.” And you may have (rightly) wondered: What does this really mean? What makes LBNF/DUNE different? The key differences are the model and the scale for international partnership. The historic model was for the host laboratory — Fermilab — to make key initial decisions about what type of accelerator and detector to build and then to invite international partners to join in finalizing and executing the vision and doing great science. With LBNF/DUNE, the global community came together to design the project internationally right from the start. This model is brand new for DOE, and success will require new approaches, great flexibility and a lot of hard work. To implement a successful international relations strategy, Marcela Carena has accepted the newly created role of director of international relations. Marcela is well-known at Fermilab and around the world as an accomplished theoretical physicist. One glance at her CV tells you that she is also highly suited to work as a Fermilab ambassador to countries around the globe. She speaks six languages, has conducted particle physics research on three continents and frequently interacts with the public about physics, discussing our work in ways that everyone can understand. Also recently appointed head of Fermilab’s Theory Department, she holds a professorship at the University of Chicago, is a fellow of the American Physical Society, has served on the U.S. Particle Physics Project Prioritization Panel, is the recipient of an Alexander von Humboldt Research Award and is currently vice chair of the APS Division of Particles and Fields. As international relations director, Marcela will promote contact and collaboration with global partners, establishing new ties and strengthening existing ones. As she develops a strategy for international engagement, she’ll interface with agencies both here and abroad, including the United Nations, the State Department, the Department of Energy and the National Science Foundation. She will also be in regular contact with the CERN directorate. Fermilab is moving into a new era, one in which we hope to host the country’s first truly international megascience facility. We are all energized by the fact that Marcela has agreed to help develop and implement the international strategy that will be critical for LBNF/DUNE success. Please wish Marcela success in her new role. Even accelerator complexes can use some good, old-fashioned makeovers every now and then. The Proton Improvement Plan II, or PIP-II, is a proposed project to improve Fermilab’s particle accelerator complex with a major hardware overhaul and a powerful boost in its capabilities. The headliner for this upgrade is neutrino physics, Holmes said. The next generation of neutrino programs is going to be bigger and more capable than current experiments. With more beam power, Holmes said, the physics reach will be substantial. When PIP-II achieves its design goal, it will deliver the world’s most intense neutrino beam just in time for the Long-Baseline Neutrino Facility to start operations in 2025. The facility will support Fermilab’s flagship research program, the Deep Underground Neutrino Experiment. PIP-II will allow physicists to accelerate more protons and help them achieve higher energy over a shorter distance. The project will involve retiring Fermilab’s 400-MeV copper linac and building a new 800-MeV superconducting radio-frequency linac as well as replacing the beam transport to the Booster. There will also be upgrades to the laboratory’s Booster, Main Injector and Recycler. 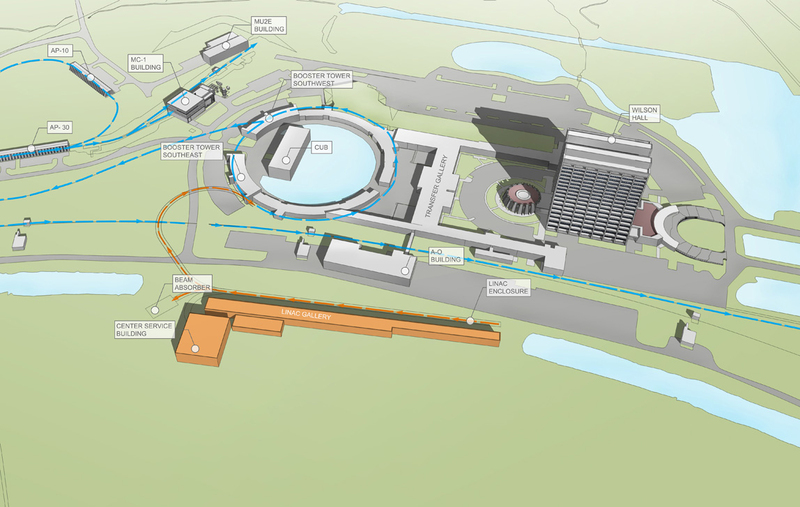 The most ambitious part of the PIP-II upgrade will be the new 800-MeV linear accelerator, which will be built in the infield of the decommissioned Tevatron accelerator and take advantage of significant existing accelerator infrastructure at Fermilab. The location will provide access to existing utilities, while allowing construction to proceed independent of ongoing accelerator operations and retaining possibilities for upgrade paths down the road. The linac design also provides an option for continuous-wave operations, which means delivery of an uninterrupted, rather than pulsed, stream of particles, providing physicists with more beam for other experiments, such as Mu2e. A large part of this effort involves an international collaboration with India. The Department of Atomic Energy in India has offered to contribute hardware in exchange for the experience of building high-intensity superconducting radio-frequency proton linacs, which they hope to construct in their own country. A global collaboration will aim to unravel the mysteries of neutrinos – also known as “ghost particles”. Among the goals of the venture, formed earlier this year, will be to catch neutrino particles streaming towards us from a supernova – an exploding star. Such events occur about every 30 years, but the neutrino streams they produce have not been studied in detail. 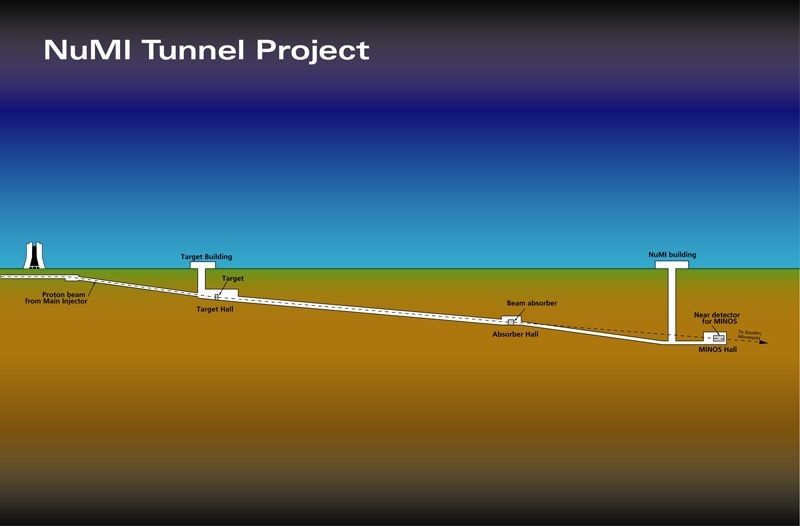 Dune (Deep Underground Neutrino Experiment) will be hosted at Fermilab in Batavia, Illinois. 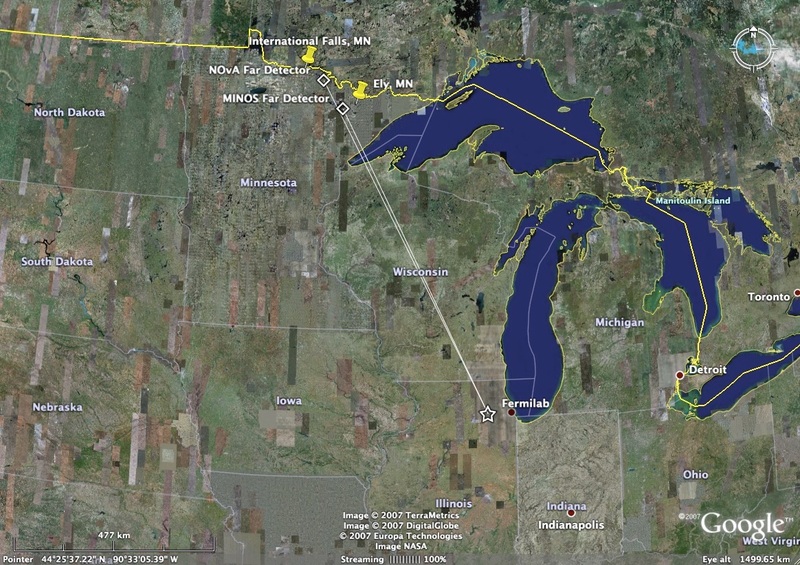 It will involve the development of the world’s most high-intensity beam of neutrinos, which will travel 1,300km (800mi) underground from Fermilab towards a massive detector instrument based at the Sanford Underground Research Facility [SURF] in South Dakota. The venture is the product of a merger between European and US projects with similar aims. The international collaboration held its inaugural meeting at Fermilab in April. “There has been a process since last summer to prepare the ground for this collaboration, based on bringing together the US and European projects. There are now 700 people signed up,” said Prof Stefan Söldner-Rembold, from the University of Manchester. Neutrinos are one of some 17 elementary cosmic building blocks that make up the Universe. But they are also a source of intrigue for particle physicists. They are extremely light particles, with no electric charge and pass harmlessly through other matter. This property makes them very difficult to observe and is responsible for them being nicknamed “ghost particles”. Neutrinos may also play a role in the mystery of why the Universe came to consist mostly of matter rather than antimatter. They are found in three different states, or flavours, and the particles can flip from one flavour to another. Dune aims to carry out a detailed investigation of this three-flavour model of neutrino physics. The project will make use of an existing particle accelerator at Fermilab as a proton source, and then smash the beam into a so-called “target” made of a material that will engender the production of short-lived particles. These will travel about 200m through a decay pipe, and as they do, a large proportion will transform into neutrinos. Another potential scientific pay-off of the collaboration might be the opportunity to observe an exploding star in closer detail than ever before. But the team will need luck on their side, as it is dependent on a suitable event taking place during the lifetime of the project. It’s a game of chance, but scientists are hopeful the detector will catch one. 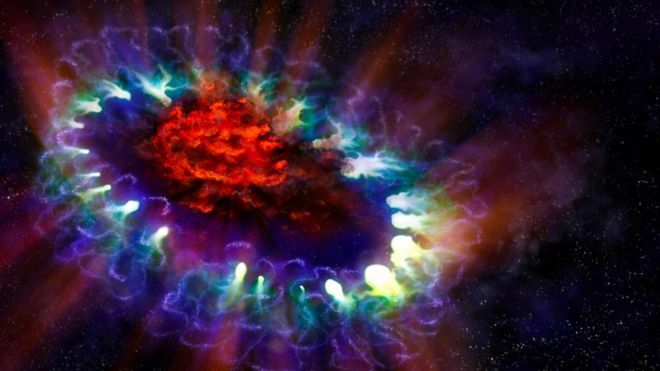 “If a supernova happens in our galaxy, which should happen once every 30 years or so, this experiment should – within seconds – see thousands of neutrino interactions,” said Prof Söldner-Rembold. “There was a supernova in 1987 and there were some neutrino detectors online – they saw something, which spurred a lot of interest at the time. This image shows the remnant of Supernova 1987A seen in light of very different wavelengths. ALMA data (in red) shows newly formed dust in the centre of the remnant. Hubble (in green) and Chandra (in blue) data show the expanding shock wave. But a supernova with a detector like this, it is something that has never been observed. The “spillover” from a supernova would depend on how far away it was from Earth. But such an energetic event, close enough to Earth, could potentially send huge numbers of neutrinos streaming our way – to be picked up by detectors. This could potentially shed light on the mechanics of stellar explosions, and how these events evolve over time. Dune will also look for a hypothetical phenomenon known as proton decay. Protons are very stable sub-atomic particles; they have never been seen to transform into lighter cosmic building blocks. However, in some theories of particle physics, such as the still-unconfirmed framework known as supersymmetry, this should happen. “It’s the ultimate rare decay. It’s another way of looking for ‘new physics’, separate from the LHC, where you don’t need to go to high energies,” said Prof Söldner-Rembold. Cern, the organisation that operates the Large Hadron Collider, is one of those that is now involved with Dune. The cost of the entire project is on the order of $1bn, but some international partners pay through in-kind contributions. The detectors will be filled with liquid argon, with the first of the four 10-kilotonne modules due to be installed in the 2020s. Neutrino collisions create electrons and flashes of light in the liquid argon, which leave observable traces of the neutrinos. The project is set to run for three decades. In May our director, Nigel Lockyer, announced his intent to form an organization to support the U.S. flagship neutrino program based at Fermilab. This program includes the Long-Baseline Neutrino Facility (LBNF), which will provide the support infrastructure, and the high-intensity neutrino beam necessary to enable the Deep Underground Neutrino Experiment (DUNE) to proceed. In recognition of this, the LBNF organization includes two new divisions — Far-Site Facilities and Near-Site Facilities — as well as a project office, all led by the LBNF project director. Although this organization has been on the Fermilab organization chart for some time, as of Monday, personnel actions to stand up the new organization, including transfers between divisions and changes to FermiWorks and Kronos, have been implemented. A detailed LBNF project organization chart indicates the reporting structure for this new line organization. This change represents another significant step in Fermilab’s accelerating progress to serve as the host for the first international megascience project sponsored by DOE in the United States. This new organization will allow us to continue to focus on our next major milestone — the upcoming DOE CD-3a review — scheduled for the first week of December at the Sanford Lab in South Dakota. It is an exciting time, and we intend to keep you updated on the progress of these projects. For more information, please refer to the LBNF and DUNE websites. On behalf of the LBNF team, thank you for your strong support of this flagship initiative! Shekhar Mishra, deputy project manager of PIP-II, wrote this column. Fermilab’s proposed construction of PIP-II (Proton Improvement Plan II) as part of the laboratory’s long-term strategy is to transform its accelerator complex to support 1.2 megawatts of beam power for the world-leading Deep Underground Neutrino Experiment (DUNE). PIP-II R&D is being jointly carried out by the Indian Institutions and Fermilab Collaboration, which includes the Inter-University Accelerator Center (IUAC) and three Indian Department of Atomic Energy (DAE) laboratories: the Raja Ramanna Centre for Advanced Technology (RRCAT), Bhabha Atomic Research Center (BARC) and Variable Energy Cyclotron Center (VECC). 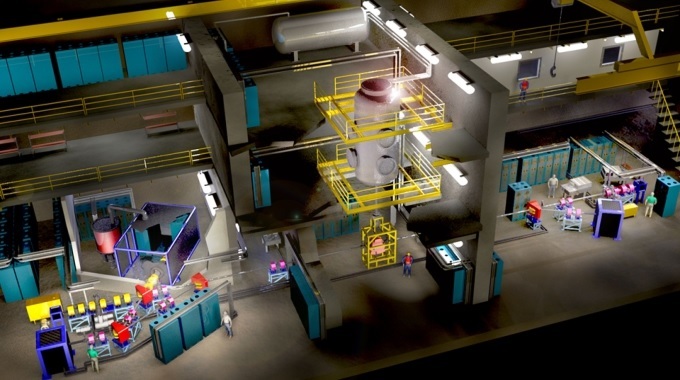 Both RRCAT and BARC have proposed construction of two accelerators that will rely heavily on advances in Fermilab’s program in superconducting radio-frequency technology, known as SRF. 1. As a part of the PIP-II R&D program, Fermilab is constructing the PIP-II Injector Experiment, or PXIE. BARC is responsible for the design, construction and testing of all PXIE normal-conducting (room temperature) magnets. In April, Fermilab received two prototype magnets from BARC for testing. After recertification of the magnetic measurement by Fermilab, which were also measured at BARC, the magnets are now installed in the PXIE beamline. 2. 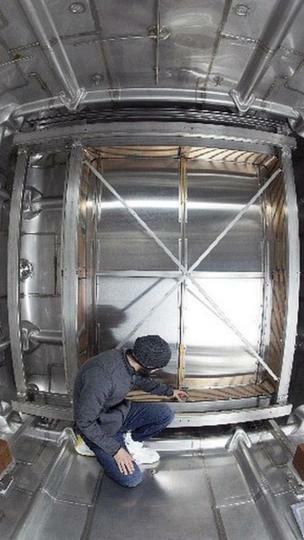 In May Fermilab received two 325-MHz single-spoke resonator (SSR1) cavities from IUAC. The construction and tests (with beam) of a prototype SSR1 cryomodule incorporating eight cavities is an important goal of the PXIE program. IIFC plans to incorporate these two cavities into this prototype cryomodule. One cavity has been processed and tested by Fermilab. The performance of this cavity is similar to those produced by U.S. industry. 3. In July, Fermilab received one cryogenic feedcap and one endcap from BARC. These will be used to test the 1.3-GHz cryomodule that Fermilab is currently fabricating for LCLS-II, a future light source based at SLAC. The design was jointly developed by BARC and Fermilab, with Fermilab primarily in a guiding role and BARC assuming responsibility for design, manufacturing and testing. This project required close cooperation between Fermilab and BARC to promote the development of expertise and capabilities crucial to successful implementation of technologies needed for the design and construction cavities and cryomodules for PIP-II. Under the Indian Institution and Fermilab collaboration, RRCAT and VECC have also installed significant SRF cavity design and fabrication infrastructure. A jointly designed and U.S.-fabricated test stand has been made operational at RRCAT. Several prototype cavities have been fabricated, processed and tested. 4. Both BARC and RRCAT have developed 325- and 650-MHz solid-state RF amplifiers for application to PIP-II. These units have been tested. Under IIFC, BARC has developed a new design of the RF protection system. It has also initiated the design of a new low-level RF system. These systems, along with 650 MHz solid-state RF amplifiers, will be commissioned with test stands. All these efforts will continue to grow over the next several years as PIP-II completes the R&D required to support construction. Strengthening the collaboration, Fermilab will welcome the arrival of seven Indian scientists and engineers to Fermilab this fall. They will be directly embedded in our Fermilab teams for two years, working on the critical technology development that will allow Fermilab and India to construct PIP-II starting later in this decade. Black holes fascinate us. We easily conjure up images of them swallowing spaceships, but we know very little about these strange objects. In fact, we’ve never even seen a black hole form. Scientists on neutrino experiments such as the upcoming Deep Underground Neutrino Experiment hope to change that. Black holes are sometimes born when a massive star, typically more than eight times the mass of our own sun, collapses. But there are a lot of questions about what exactly happens during the process: How often do these collapsing stars give rise to black holes? When in the collapse does the black hole actually develop? What scientists do know is that deep in the dense core of the star, protons and electrons are squeezed together to form neutrons, sending ghostly particles called neutrinos streaming out. Matter falls inward. In the textbook case, matter rebounds and erupts, leaving a neutron star. But sometimes, the supernova fails, and there’s no explosion; instead, a black hole is born. DUNE’s gigantic detectors, filled with liquid argon, will sit a mile below the surface in a repurposed goldmine. While much of their time will be spent looking for neutrinos sent from Fermi National Accelerator Laboratory 800 miles away, the detectors will also have the rare ability to pick up a core collapse in our Milky Way galaxy – whether or not that leads to a new black hole. The only supernova ever recorded by neutrino detectors occurred in in 1987, when scientists saw a total of 19 neutrinos. Remnant of SN 1987A seen in light overlays of different spectra. ALMA data (radio, in red) shows newly formed dust in the center of the remnant. Hubble (visible, in green) and Chandra (X-ray, in blue) data show the expanding shock wave. Scientists still don’t know if that supernova formed a black hole or a neutron star—there simply wasn’t enough data. Thomson says that if a supernova goes off nearby, DUNE could see up to 10,000 neutrinos. DUNE will look for a particular signature in the neutrinos picked up by the detector. It’s predicted that a black hole will form relatively early in a supernova. Neutrinos will be able to leave the collapse in great numbers until the black hole emerges, trapping everything—including light and neutrinos—in its grasp. In data terms, that means you’d get a big burst of neutrinos with a sudden cutoff. Neutrinos come in three types, called flavors: electron, muon and tau. When a star explodes, it emits all the various types of neutrinos, as well as their antiparticles. They’re hard to catch. These neutrinos arrive with 100 times less energy than those arriving from an accelerator for experiments, which makes them less likely to interact in a detector. Most of the currently running, large particle detectors capable of seeing supernova neutrinos are best at detecting electron antineutrinos—and not great at detecting their matter equivalents, electron neutrinos. “It would be a tragedy to not be ready to detect the neutrinos in full enough detail to answer key questions,” says John Beacom, director of the Center for Cosmology and Astroparticle Physics at The Ohio State University. Luckily, DUNE is unique. “The only one that is sensitive to a huge slug of electron neutrinos is DUNE, and that’s a function of using argon [as the detector fluid],” says Kate Scholberg, professor of physics at Duke University. It will take more than just DUNE to get the whole picture, though. Getting an entire suite of large, powerful detectors of different types up and running is the best way to figure out the lives of black holes, Beacom says. 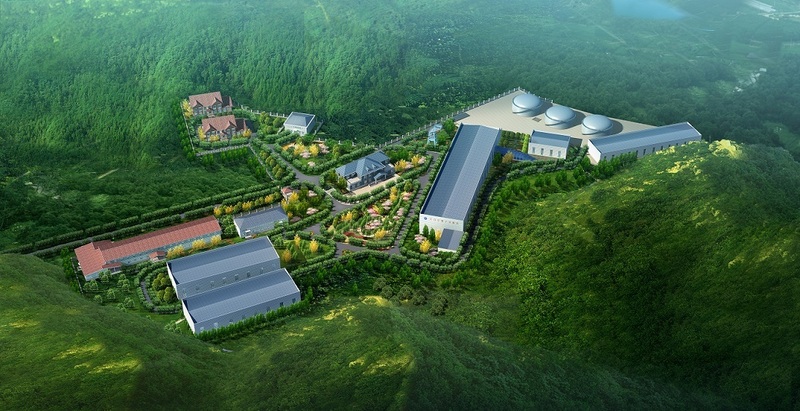 There is a big scintillator detector, JUNO, in the works in China, and plans for a huge water-based detector, Hyper-K, in Japan. 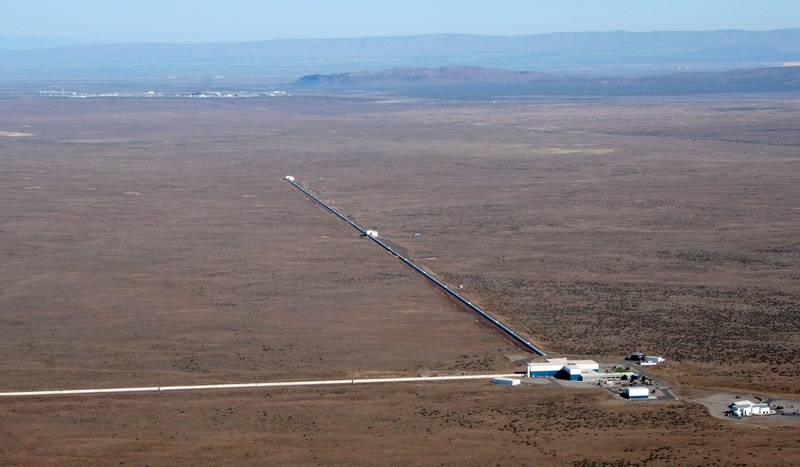 Gravitational wave detectors such as LIGO could pick up additional information about the density of matter and what’s happening in the collapse. The rate at which neutrinos arrive after a supernova will tell scientists about what’s happening at the center of a core collapse—but it will also provide information about the mysterious neutrino, including how they interact with each other and potential insights as to how much the tiny particles actually weigh. Within the next three years, the rapidly growing DUNE collaboration will build and begin testing a prototype of the 40,000-ton liquid argon detector. This 400-ton version will be the second-largest liquid-argon experiment ever built to date. It is scheduled for testing at CERN starting in 2018. 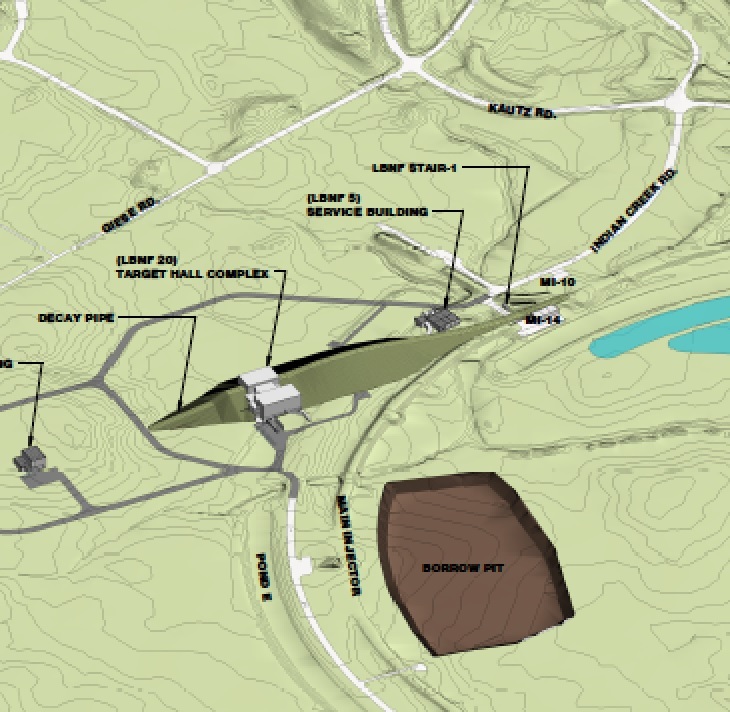 DUNE is scheduled to start installing the first of its four detectors in the Sanford Underground Research Facility in 2021. 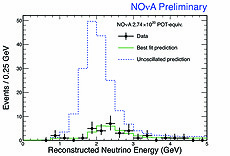 This plot shows the energy spectrum of detected muon neutrino events in the NOvA detector compared to the much larger signal that would be expected if there were no neutrino oscillations. Neutrinos are ghosts; everywhere around us, we unknowingly swim through billions of them constantly without ever interacting. Thankfully both natural and man-made sources such as the Fermilab NuMI beam produce copious numbers of higher-energy neutrinos. This abundance means that they can be spotted with very large detectors despite their ghostly nature. They come in three types and are known for their strange properties, such as their tendency to oscillate, or change from one type into another, similar to tossing a basketball and finding a mere ping pong ball where it lands. Oscillations depend on a neutrino’s energy and distance traveled, and by using a man-made neutrino beam we can carefully choose where we put our detectors in order to maximize this effect. This was done in NOvA, the U.S. flagship long-baseline neutrino experiment with a massive five-story, 14,000-ton far detector located in remote northern Minnesota, 500 miles from Fermilab, which only recently released the analysis results from its first batch of data. NOvA looks for both the disappearance of muon type neutrinos (which make up the NuMI beam) as they oscillate away, and the appearance of electron type neutrinos that wouldn’t be there without oscillations. The included plot shows the energy distribution of muon neutrinos detected, where NOvA would expect to see 201 muon neutrinos if there were no oscillations, but only 33 were actually seen — clear evidence of oscillations. Muon neutrinos are detected by seeing muons resulting from their interactions, and one analysis challenge was to distinguish the muons from neutrinos from tens of millions of very similar looking cosmic ray muons. Only one or two of these 33 events are estimated to be cosmic rays surviving the sophisticated event selection, however. The shape of the energy distribution contains further information that allows extraction of precise parameters detailing the inner workings of the oscillations. These NOvA results are already competitive with the world’s best information on these parameters with less than 10 percent of the planned data, and this result will quickly improve. The information gleaned from these rare neutrino interactions has far-reaching implications and can teach us about things like the evolution of the universe, how a supernova works and possibly even why the universe is made of matter and not antimatter. We still have a long way to go in solving all their mysteries, but NOvA is a big step along the path to understanding these little ghosts all around us. Last week a distinguished committee of 24 experts conducted a comprehensive Critical Decision 1 review of the DUNE and LBNF projects for the Department of Energy. Steve Meador, head of the Office of Project Assessment for the DOE Office of Science, chaired the review, with Jim Siegrist and Mike Procario of the Office of High Energy Physics observing. Fermilab has participated in quite a few critical decision reviews in the year since the P5 report, “Building for Discovery,” set the course for U.S. particle physics. But last week’s event was not “just another review.” DUNE, combined with LBNF, is the largest new initiative at Fermilab since the Tevatron and would be the first truly international megascience project ever hosted in the United States. In short, this review was a really, really big deal. The project teams were led by Elaine McCluskey, LBNF project manager, and Eric James, DUNE technical coordinator, along with DUNE spokespeople André Rubbia and Mark Thomson and DUNE resource coordinator Chang Kee Jung. Also on hand were Sergio Bertolucci and Marzio Nessi of CERN, and leadership of the former LBNO and LBNE collaborations, including Dario Autiero and Jim Strait. The new LBNF far-site project manager, Mike Headley, led a contingent from the South Dakota Science and Technology Authority. Far-site conventional facilities: Strong team with an in-depth knowledge of the site and facilities. The next morning, Friday at 7:45 a.m., the “very (very) strong management team” assembled for their daily meeting with Pepin Carolan, the DOE federal project director for DUNE/LBNF. Time for a few minutes of relaxed self-congratulation? Absolutely not — instead a laser-like focus on the path to the next major hurdle: a CD3a review later this year enabling a construction start for the far-site facilities. A strong week for the future of neutrino science.